Many people leave the scene of car accidents feeling as though they’re incredibly lucky. Unfortunately, even without lacerations, broken bones and other visible injuries, you can still be seriously hurt. Appearances can be very misleading in these instances. Soft tissue damage, muscle strain, spinal subluxations, and other problems can be looming just beneath the unbruised surface of your skin. That’s why it is always important to work with a car accident chiropractor in Phoenix. At Accident Chiropractic & Wellness Center, we are committed to helping our clients regain their pre-accident health and well-being. We talk a coordinated, holistic approach to promoting natural healing that includes corrective exercises, lifestyle recommendations, therapeutic massage, and spinal adjustment therapy among many other things. 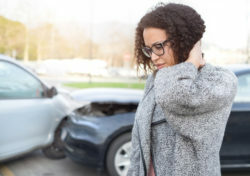 When you understand how the skeletal structure works and the importance of good spinal alignment, you’ll know exactly why chiropractic care is so essential after an automobile crash. Jarring, impact events can force vertebrae out of position. They can also cause serious inflammation and pain in the neck, thereby affecting joint mobility. Many people have a hard time changing elevations and even turning their head after these events. Moreover, they are often unable to get the hands-on therapies and care that they need for making swift recoveries when only receiving conventional hospitable care. Our chiropractors offer every client an individualized and integrated plan for achieving wellness. Our services start with comprehensive evaluations of the spine and other aspects of the musculoskeletal system. We understand just how problematic latent pain can be, especially for those who are in a rush to settle out their claims. Keep in mind, if you settle your claim well before any musculoskeletal pain sets in, you won’t have the ability to negotiate for additional settlement monies after new treatment needs have arisen. During this process, gradual improvements in inflammation, discomfort, balance, mobility and spinal alignment can also start facilitating improvements in other areas of your health. Some people assert that their problems with migraines and frequent headaches abate. Others express changes in their sinuses and breathing abilities, increased immunity, higher levels of energy, and many other positive differences. 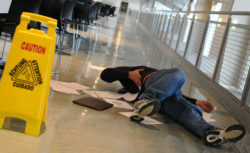 We have a tremendous amount of experience in working with people post-accident. We use a number of natural techniques to facilitate decreases in pain and an increased sense of overall well-being. Best of all, the methods that we use do not entail serious risks or side effects. For many people, this is far preferable to using prescription pain medications to manage discomfort in an ongoing fashion. A large part of what we correct are functional issues. Even when accidents occur at very low speeds, they can be very detrimental to the neck, back, and spine. Given that the spine is designed to support the body as the primary supporting structure and a veritable superhighway for the nerve to brain communication, alignment issues can cause serious troubles. People with alignment problems can develop headaches, muscle spasms, chemical imbalances, sleep troubles and more. Get in touch with us now to find out how we can help you with your post-accident recovery and care. We are highly seasoned in working with claimants who want to take a natural approach to getting well. With our help, you can enjoy your pre-accident health and can effectively document your medical care for legal purposes.